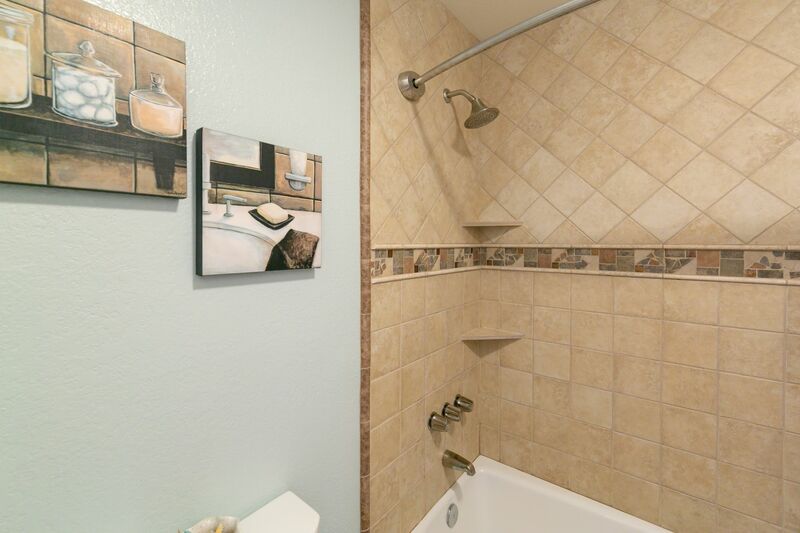 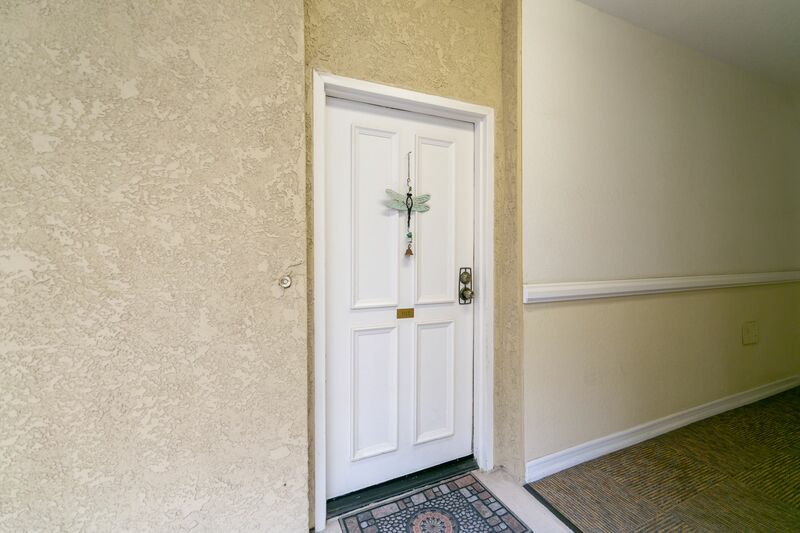 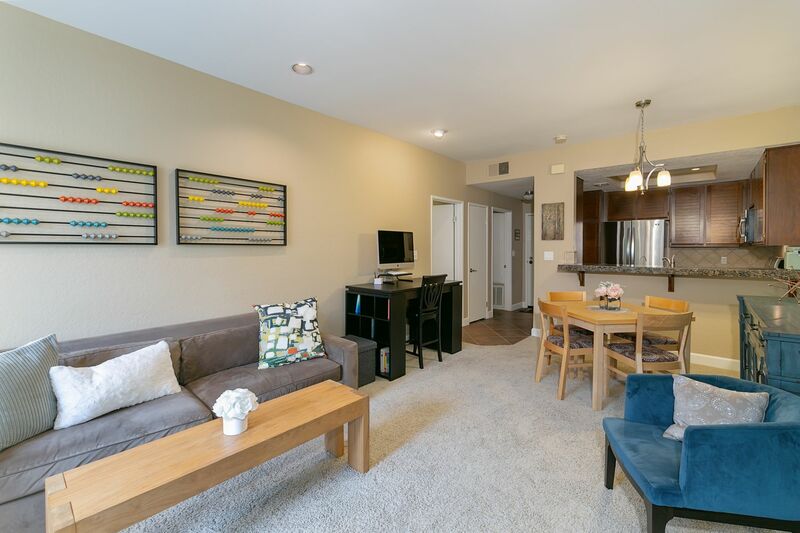 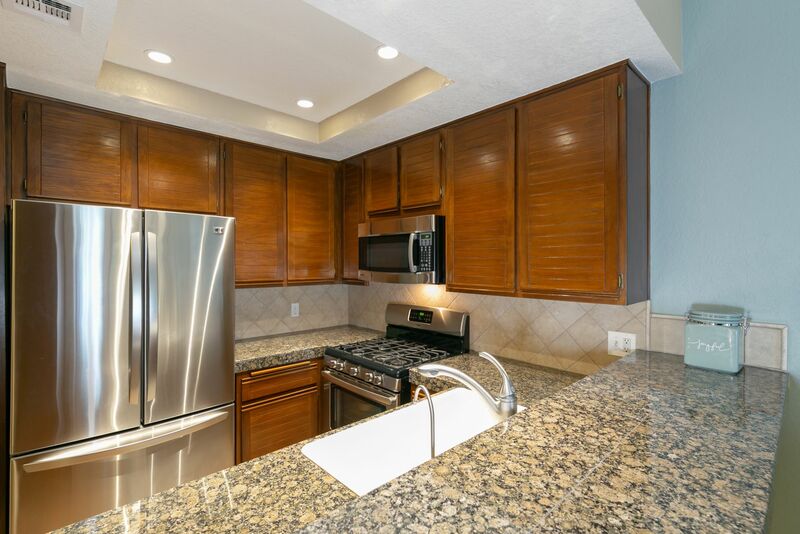 Extensively remodeled & ready for you to move in & enjoy! 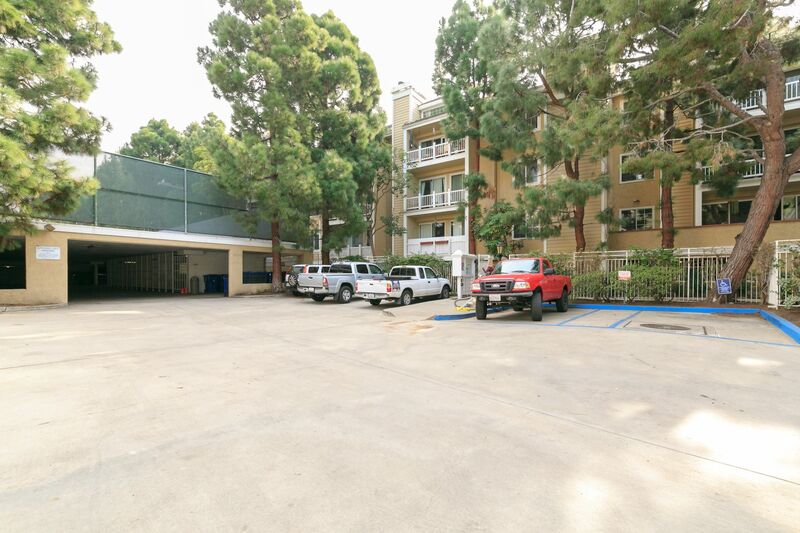 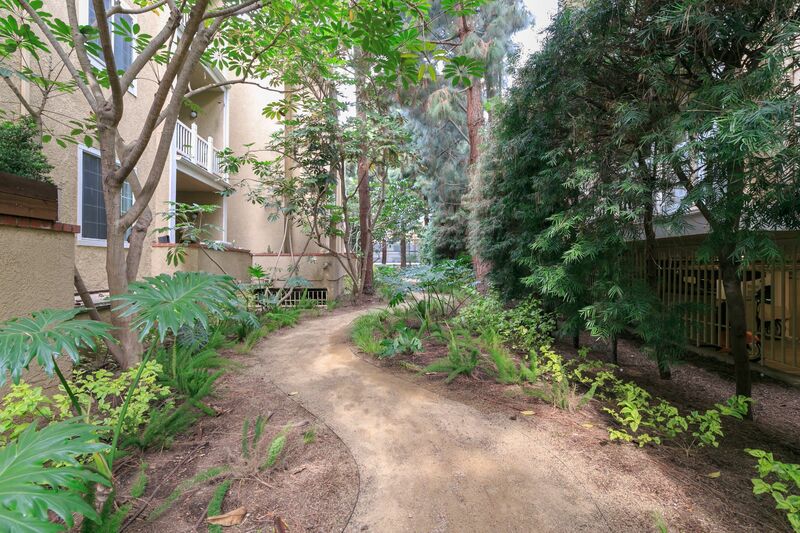 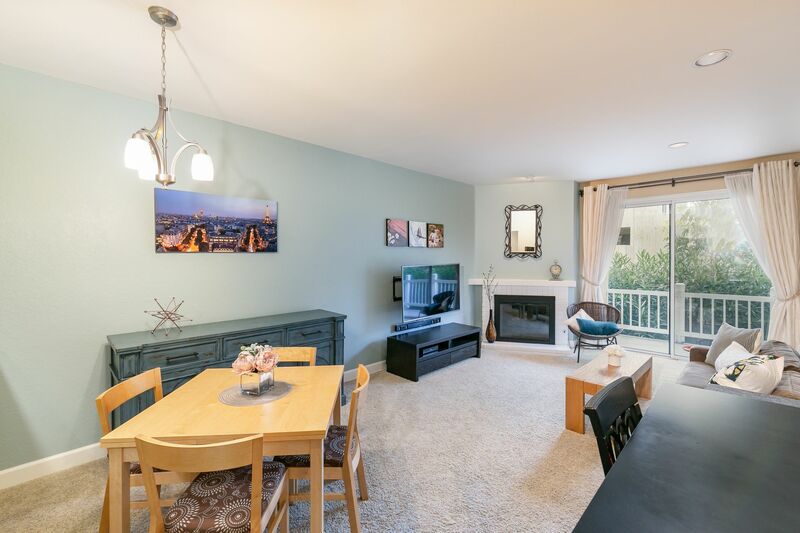 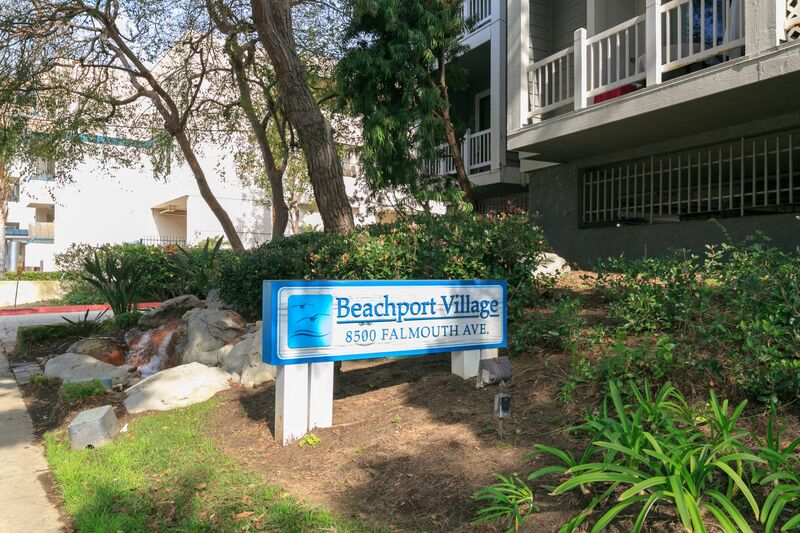 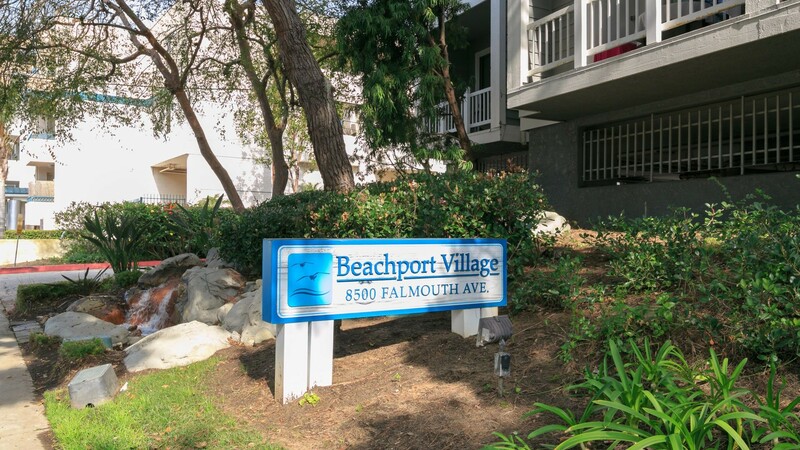 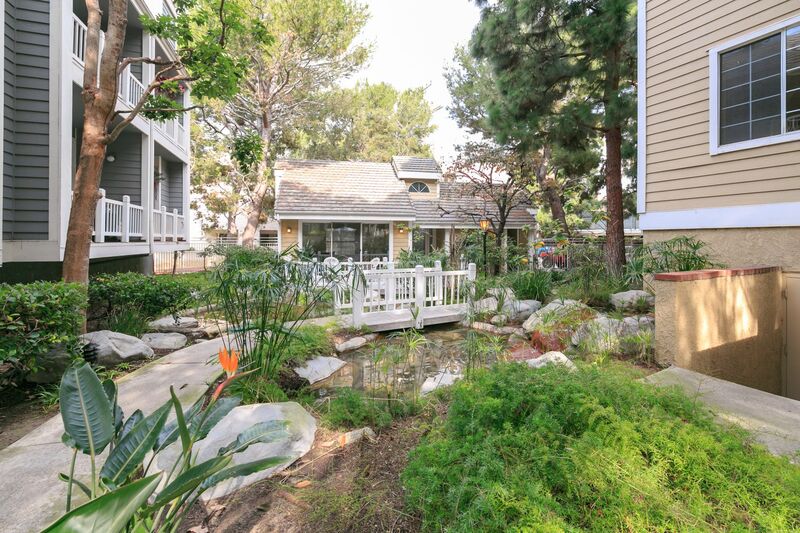 This Beachport Village condo is nestled in the heart of Playa del Rey & thriving Silicon Beach. 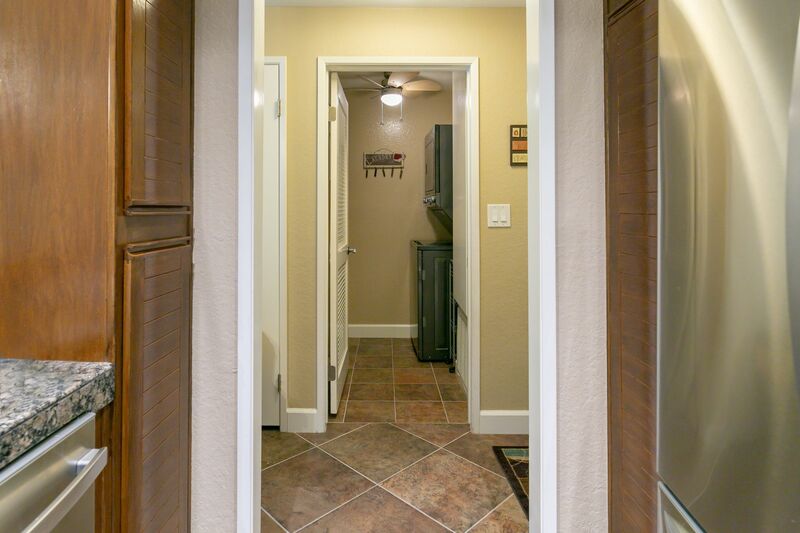 Delight in the smart upgrades throughout and bright open floorplan. 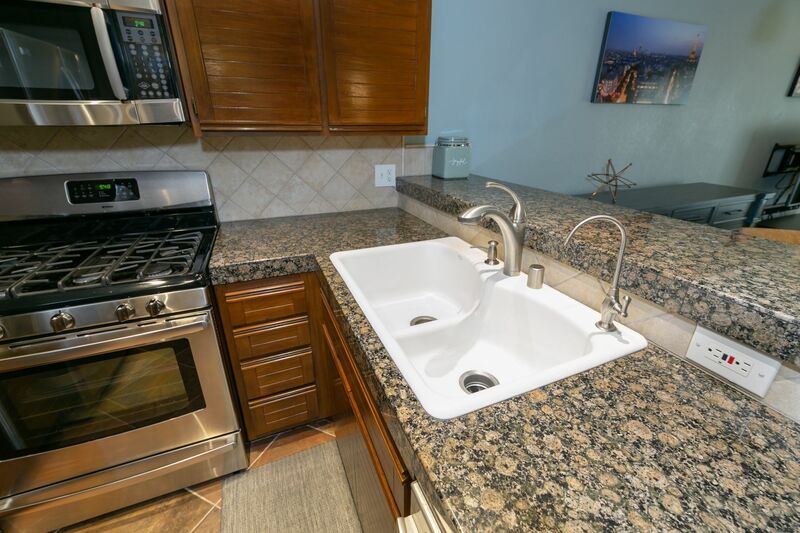 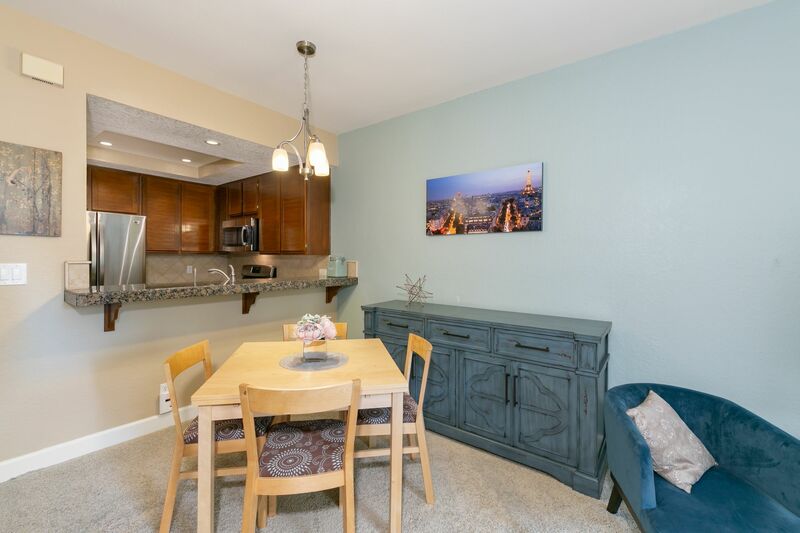 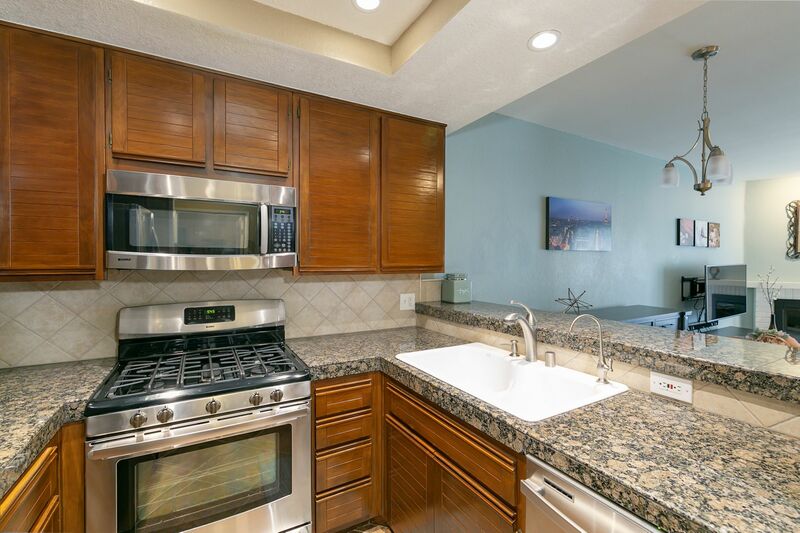 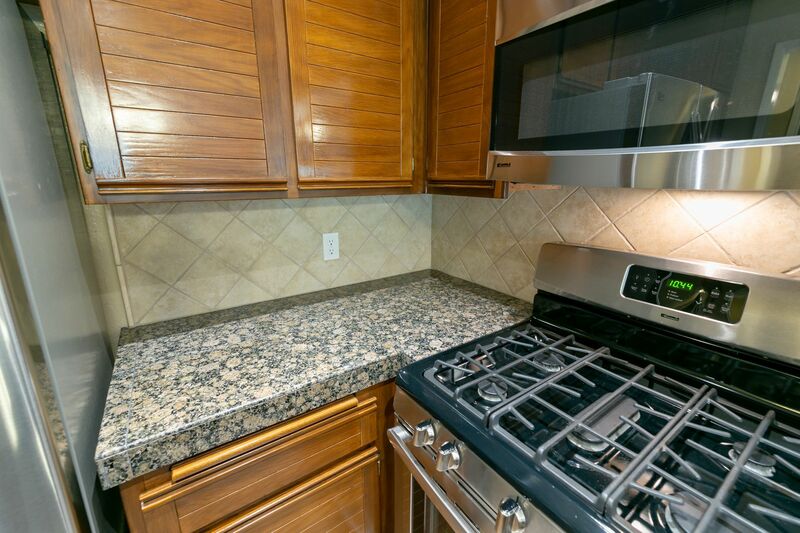 The remodeled gourmet kitchen boasts stainless steel appliances including gas range & counter depth refrigerator, granite countertop, refinished cabinetry & recessed lighting. 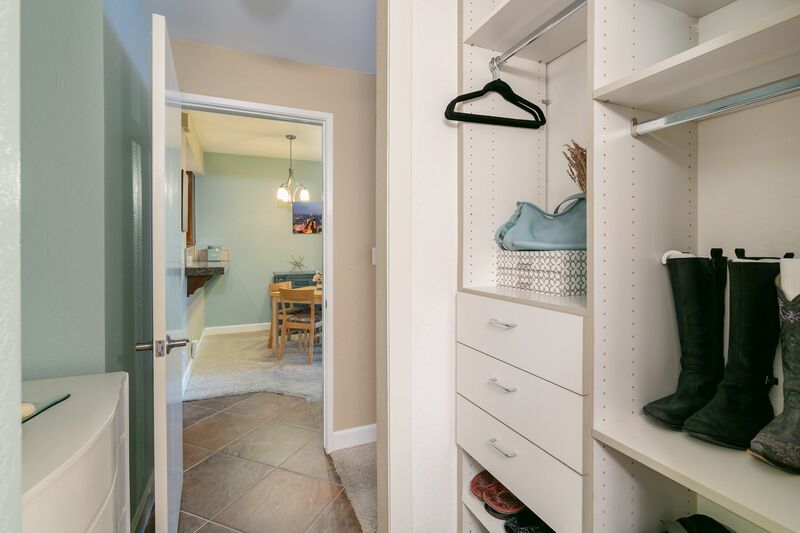 Connecting the kitchen to the dining room is the versatile breakfast bar for casual dining or entertaining. 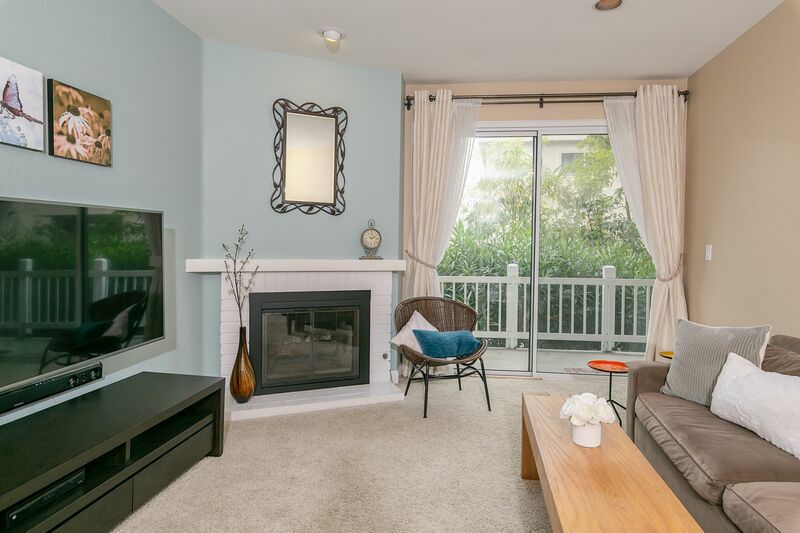 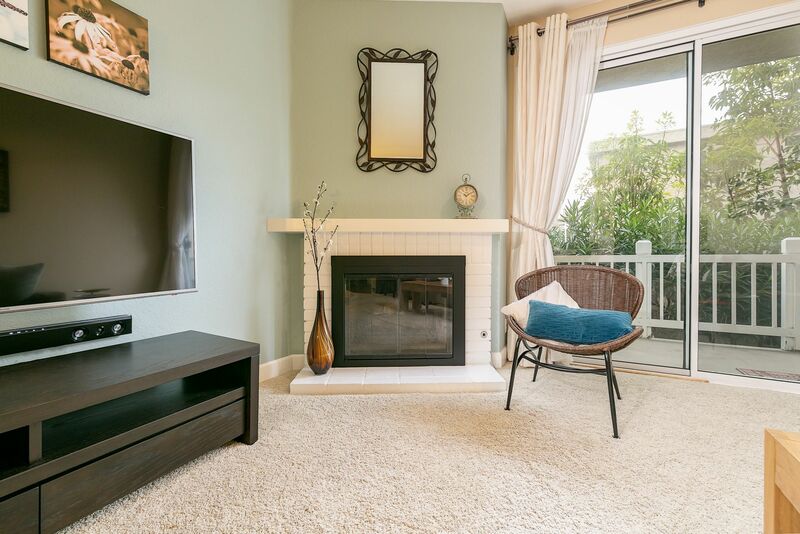 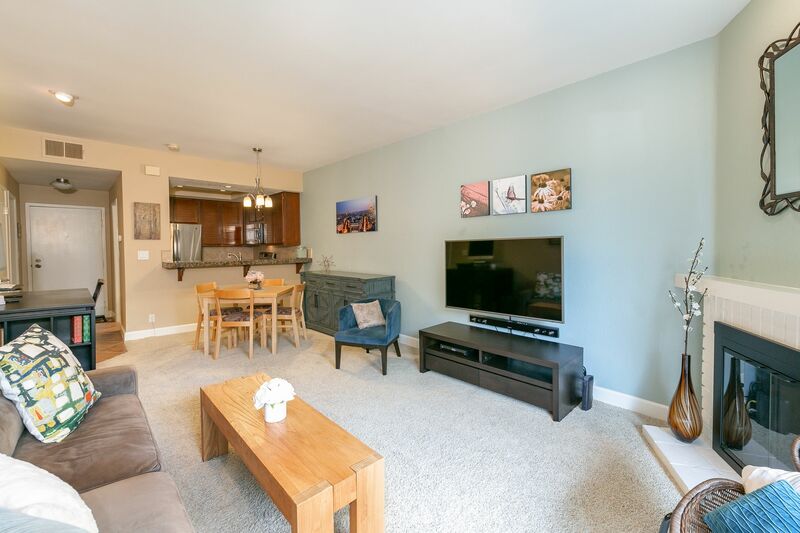 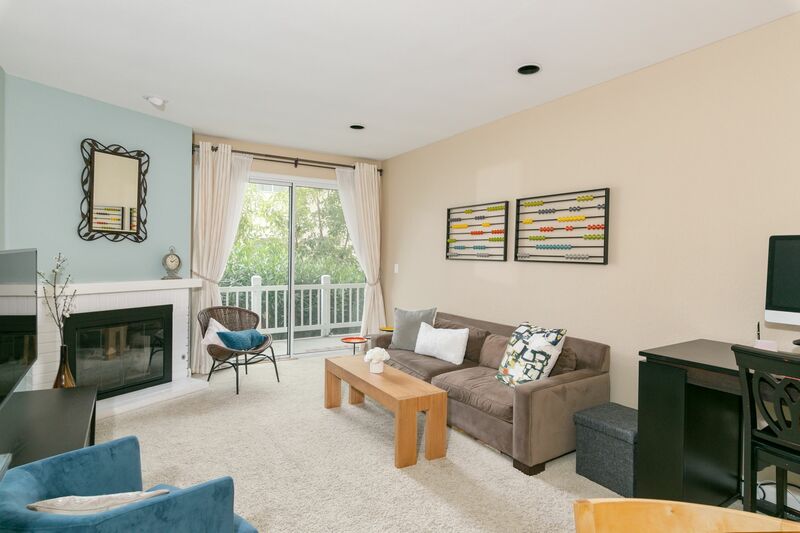 The inviting living room is warmed by a cozy fireplace with gas logs & opens to the balcony. 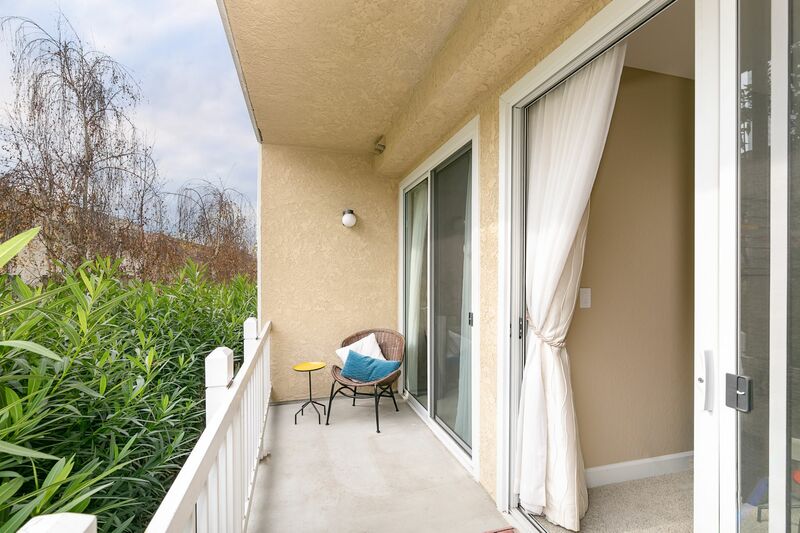 Buffered by greenery, the balcony offers a private feel & handy storage closet. 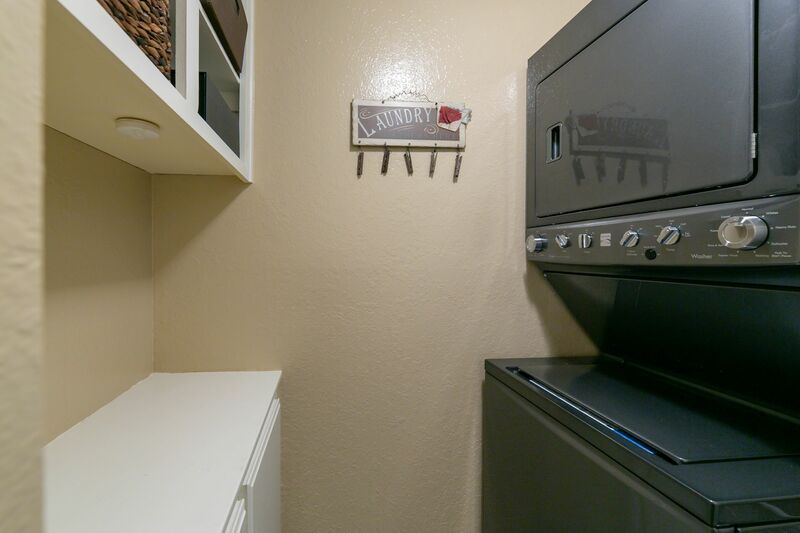 Back inside, there is a hall closet with built-ins & more storage space in the laundry room which includes a newer stacked washer & dryer. 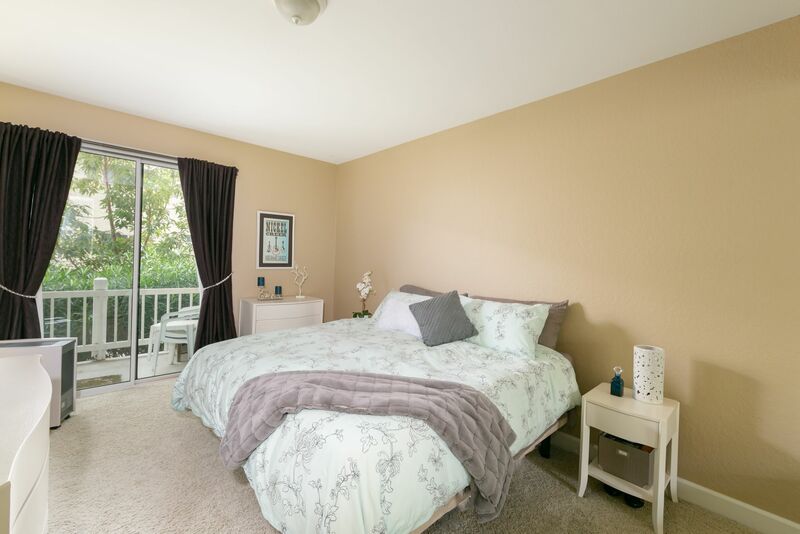 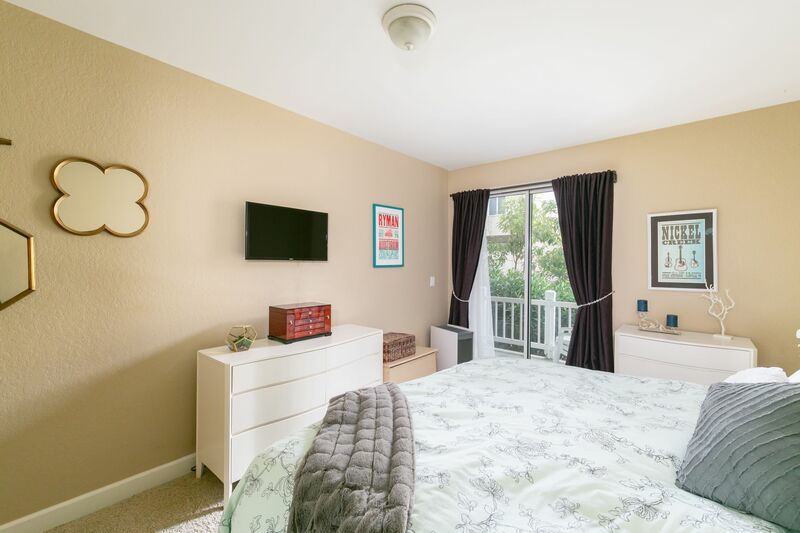 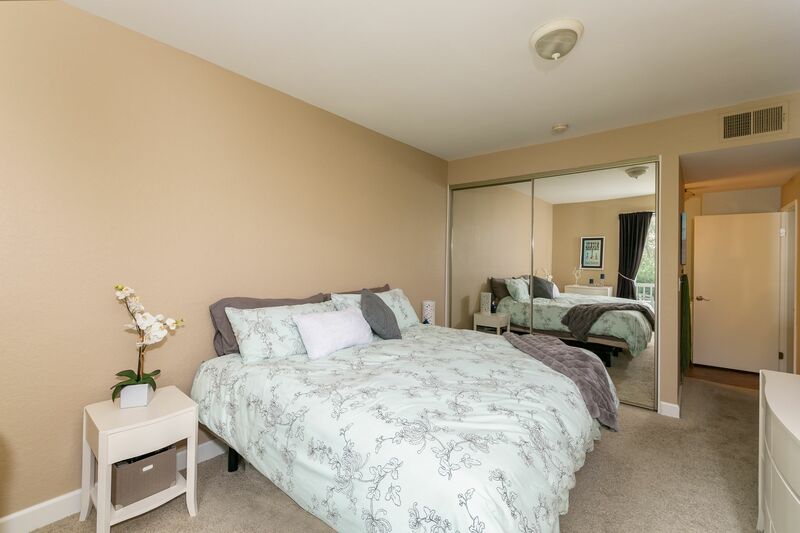 The generous Master suite also opens to the balcony & features a double-sided closet with built-ins. 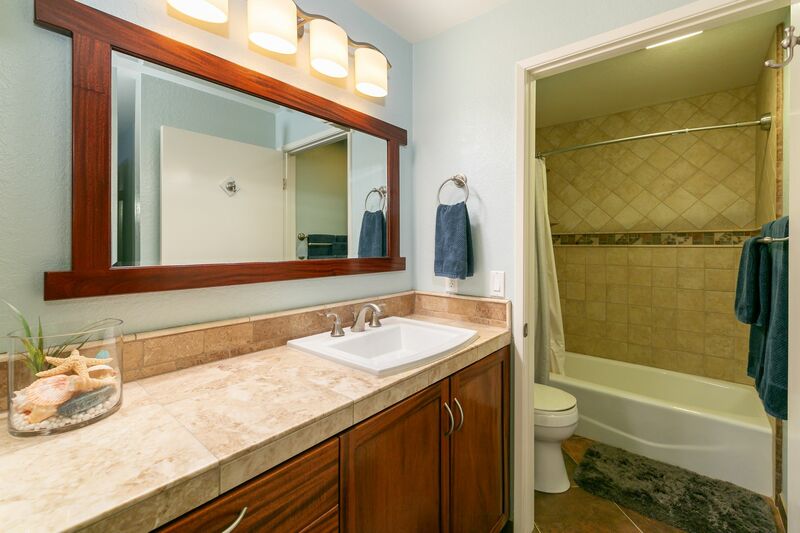 Extensively remodeled too, the bathroom offers a custom African mahogany vanity & mirror, neutral marble countertop, travertine backsplash, cast iron tub, newer fixtures, neutral tile enclosure & flooring. 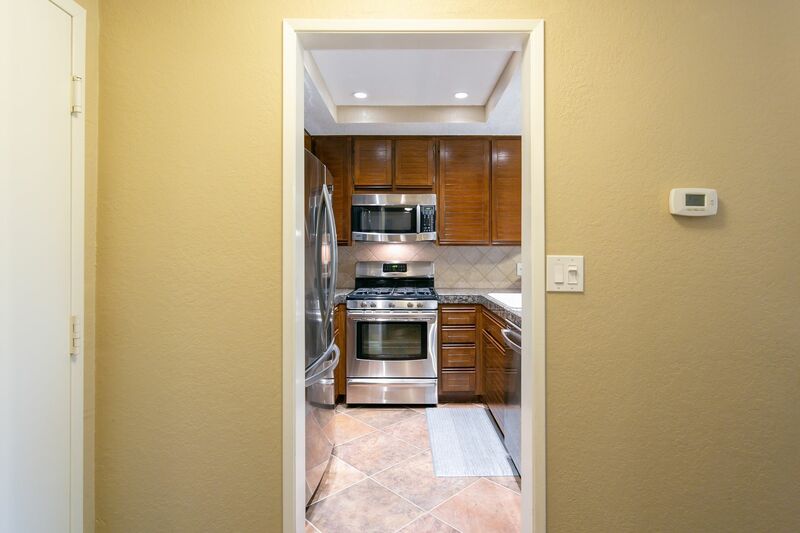 Additional upgrades include LAX soundproofed glass doors & newer A/C unit. 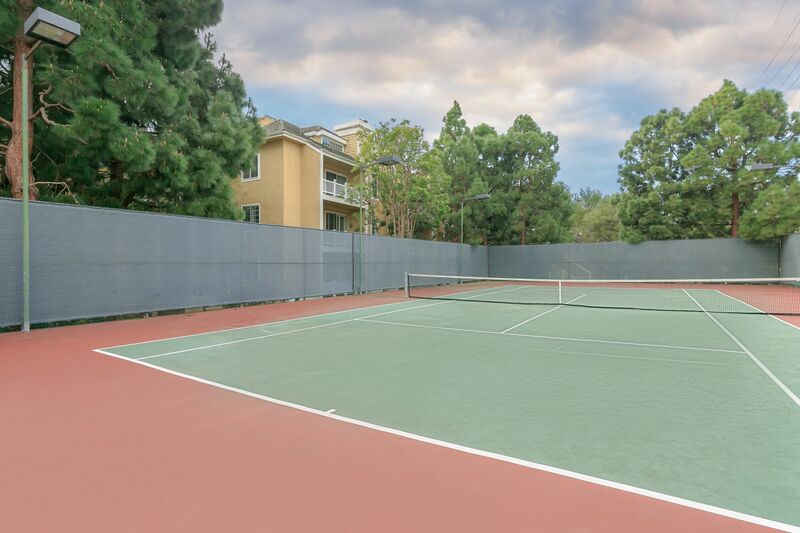 Resort style amenities such as 2 pools, 2 spas, 2 tennis courts, clubhouse, water features, walking paths & mature landscaping. 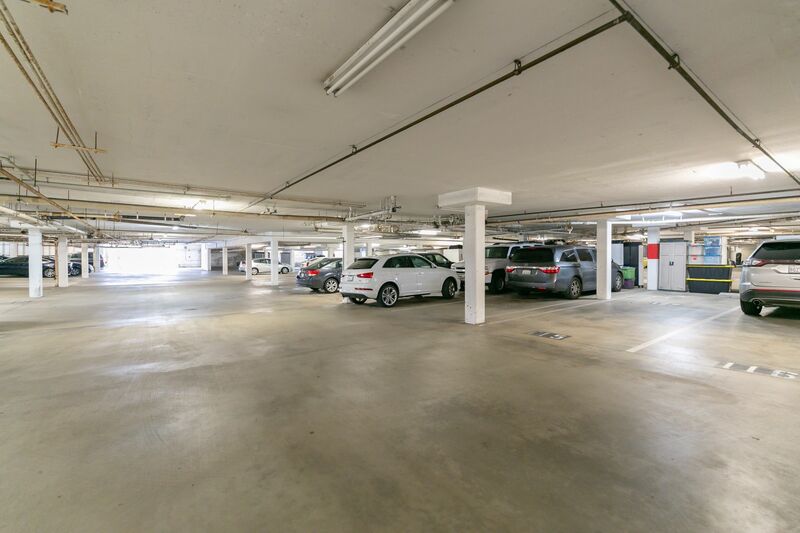 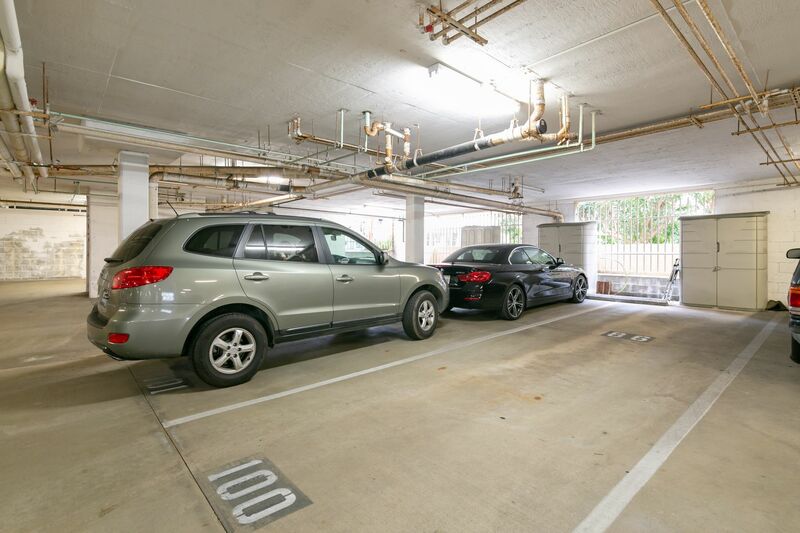 The secured parking includes 2 assigned tandem spaces plus plentiful guest parking. 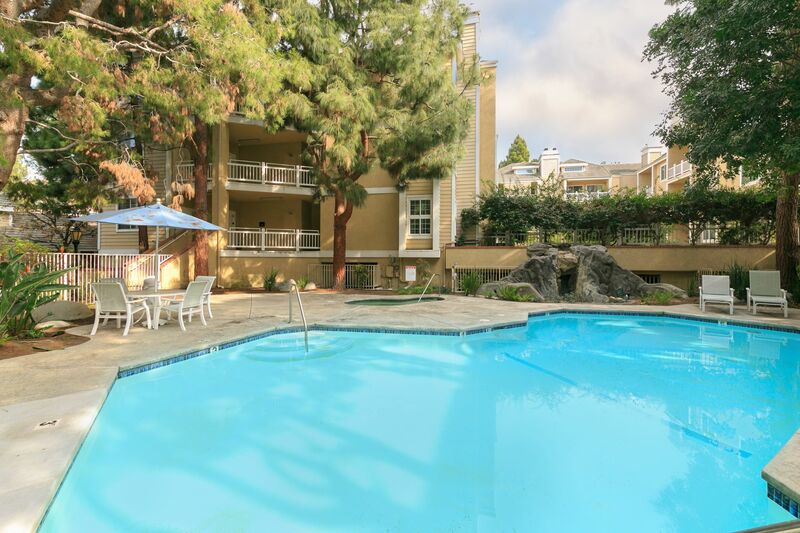 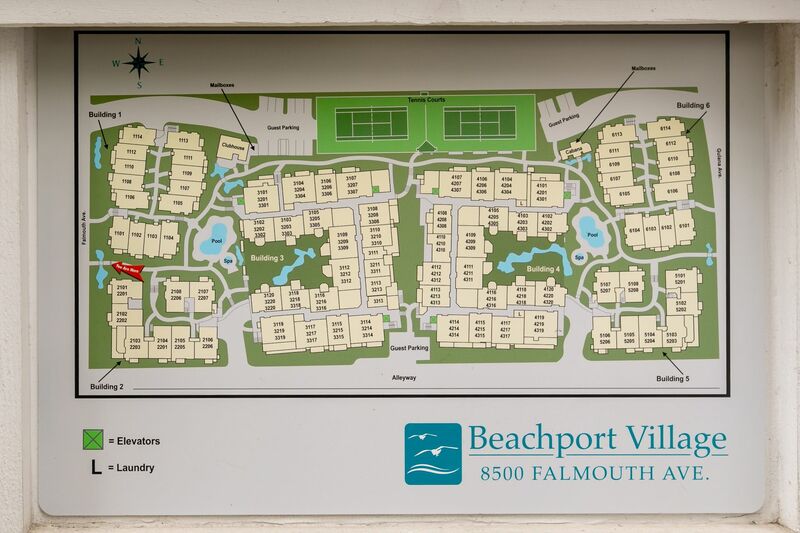 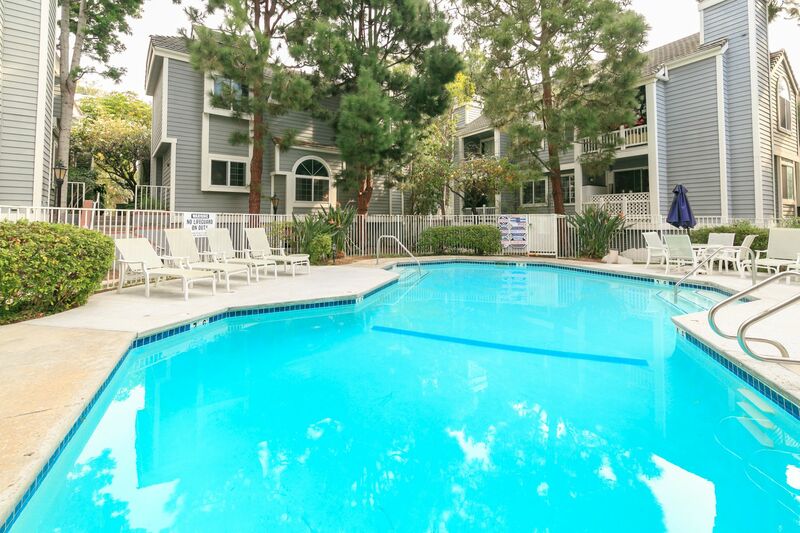 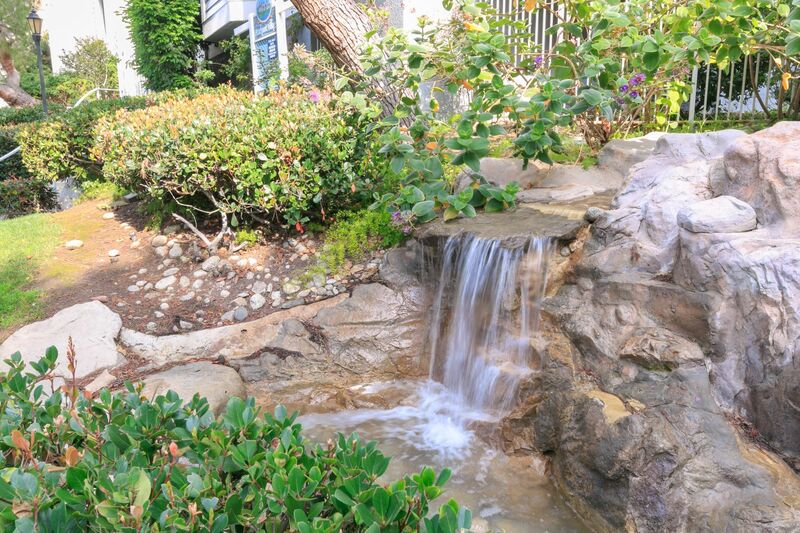 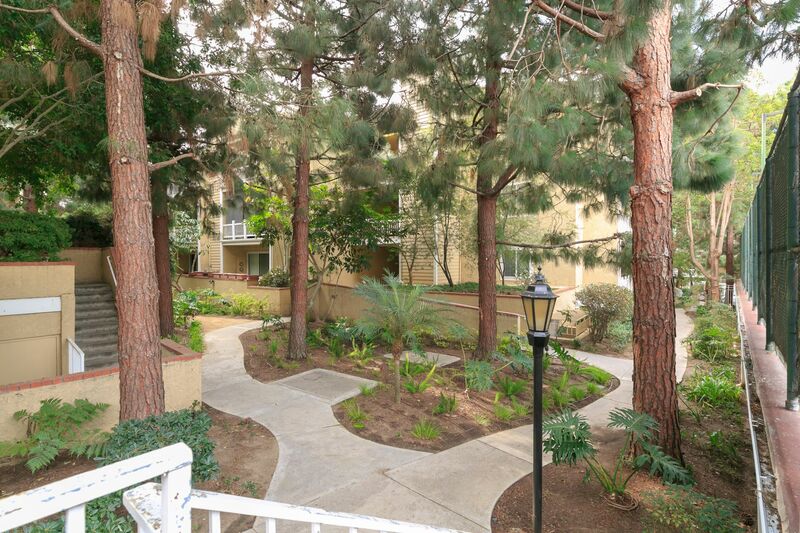 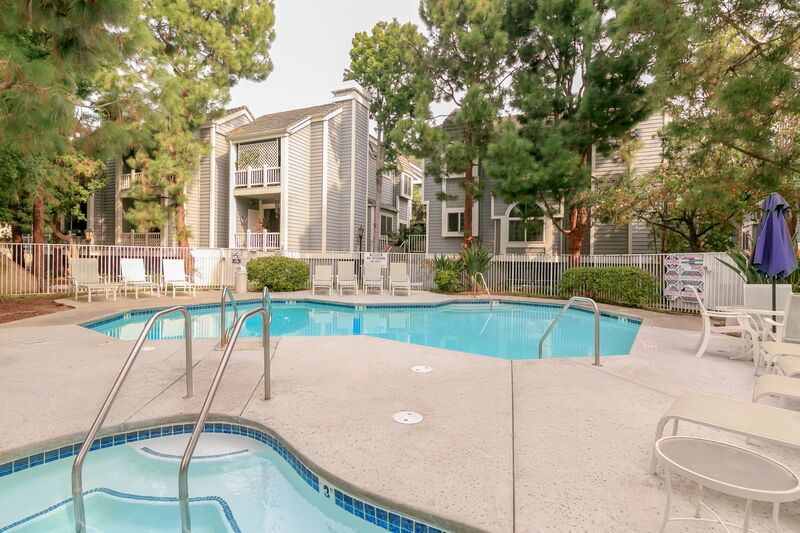 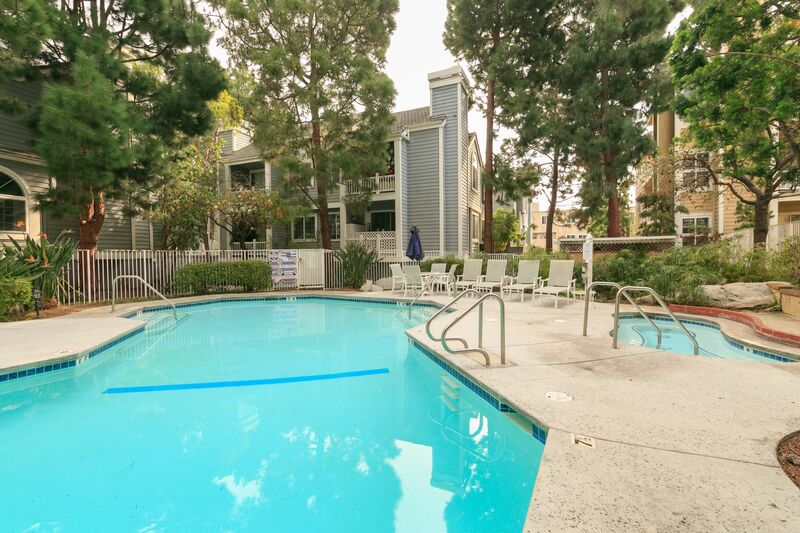 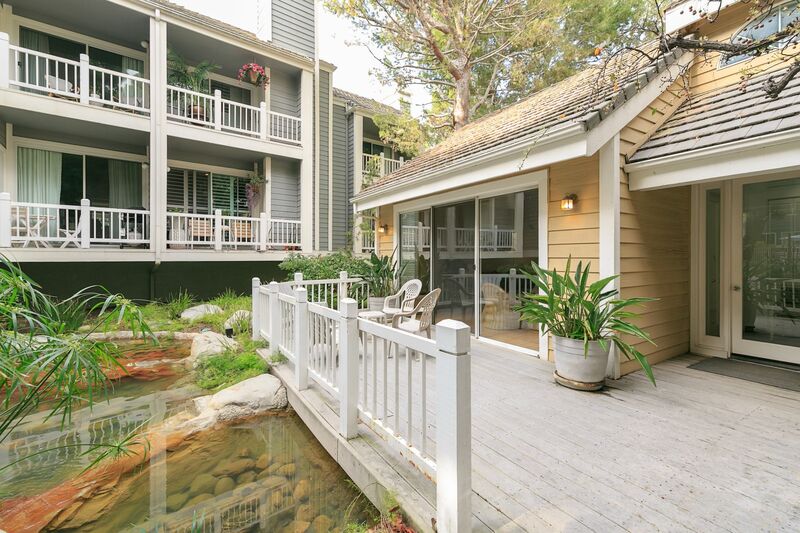 All this is located within walking distance to restaurants, shops, parks & the beach.